This Sunday and Monday, join our partner Facing History for Face the Future, a global virtual game about what the future of empathy might look like, and how that impacts our choices today. 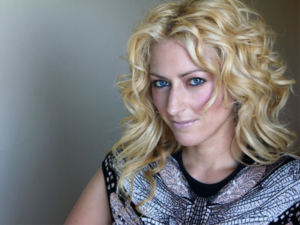 Read more from Jane McGonigal, world-renowned game designer and Director of Games Research and Development at the Institute for the Future, about why you should care about imagining the future. For Face the Future, we’re going to fast-forward a decade to the year 2026. And we’re going to consider some technologies that might change how we relate to each other–and how we understand each other–in really dramatic ways. Why look into the future? Imagining the future is fun but it’s also important. When we face the future, we’re trying to make sense of the changes that are happening all around us. We’re using our logic and our intuition to figure out where those changes might lead. In fact, when we imagine the future together, what we’re really doing is participating in the process of anticipatory history. We imagine what we might do in a world of new possibilities, so we can prepare to act ethically and responsibly. We think about the difficult decisions that we’ll have to make in the future, and how those decisions will affect others. By thinking about that future now, we give ourselves more time to consider our response. More time to figure out how to become upstanders when change is happening fast. In other words, thinking about the future today prepares us to make history, tomorrow. As we imagine the future in this game, you’ll discover a world in which our bodies reveal secrets, no matter how well hidden. A world in which intimate physical and emotional connections can travel around the world as instantly and reliably as a mobile phone call today. A world in which we can directly experience in our own minds and bodies the thoughts and feelings of a loved one or a stranger on the other side of the earth. This future is a world in which more than one billion people are on a new social network called FeelThat. The network uses advanced biological and neurological sensors to allow you to share and receive emotions with anyone in the world. You can literally feel what someone else is feeling. And you can broadcast, to friends and family or to the public, your own feelings so others can feel what you feel. Think of the FeelThat Network as kind of brand new Internet—an Internet not of words and images, but rather of physical sensations and emotions. Before you play the game, you’ll get to watch a video with four short stories from the future. These stories are all about the future of empathy. If you were a part of the FeelThat Network, who would you share your data with? Whose data would you want to see? With a FeelThat network, can privacy be possible? Who could you relate to that you can’t relate to today? Whose lives can you more deeply understand? Whose struggles would you be willing to directly experience as if they were your own? What difficult choices would you face?